Giulia’s profile outlined by the local daily newspaper “L’Eco di Bergamo”, on August 30th 2011. 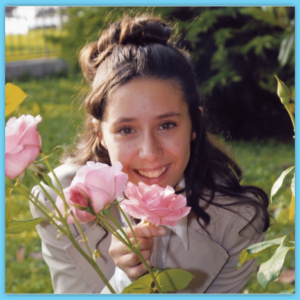 "This is the story of Giulia Gabrieli, 14 years old, who had got a cancer. Firstly, I want you to know since now that Giulia made it. She did not recover from her illness, this is true: she died on August, 19th in the evening, at home in San Tomaso de’ Calvi district in Bergamo, while, during the WYD (Word Youth Day), young people Via Crucis had just been celebrated in Madrid. Yet, she made it. She managed to transform her 2-year-long illness into a hymn to life [...]"